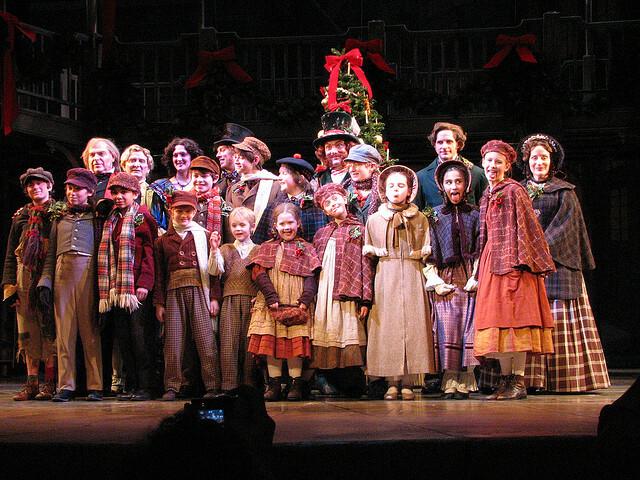 Students viewed a live production of “A Christmas Carol” as part of a study conducted at the University of Arkansas./PHOTO VIA Flickr user Kurt Magoon. 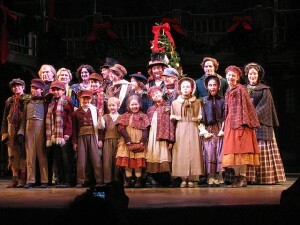 It was found that the students who attended the live productions, rather than simply reading the plays or watching movie versions, were better able to understand the plots, had an increased vocabulary, displayed a greater tolerance for others, and developed the ability to better read the emotions of others. This study is essential in proving the idea that most theatregoers and performers have been passionate about all along: that theatre is an art form unlike any other, due to the fact that it drives a much deeper understanding of emotion, empathy for others and human experience in general. Simply watching films and reading plays just does not have the same long-lasting effect. Take the 2012 “Les Miserables” movie, for example. I’ve used this example in previous posts, but the point still stands: I, and many others, didn’t walk away from the film feeling the same emotional attachment to the characters and the story as I did when leaving the theatre after seeing a live performance of the show for the first time. Jay Greene, a professor of education reform at the University, elaborates on this, stating, “Plays are meant to be seen performed live. You can’t always take your kids to a play but if you can, you should.” This guy knows what’s up. To elaborate, effects like the ones observed in this study don’t just come out of viewing straight plays. Music and musical performances have been proven to jog the memories of Alzheimer’s patients. In addition, kids who take music and arts education classes in school are more likely to have good working relationships with others and to be successful with their job searches later in life. Tina Fey got her start in live community theatre, as did countless other big-name celebrities. In my own experiences in working at multiple theatre-based summer camps, I often notice maturity in kids who have been exposed to theatre since a young age. I am absolutely convinced, as I was even before I read the results from this study, that an education involving live theatre is one of the most valuable and important things a student can get. It is not only a form of entertainment, but it also has real-life applications and long-term psychological effects. The moral of the story? Go see some live theatre. Broaden your horizons. You’ll thank me one day.